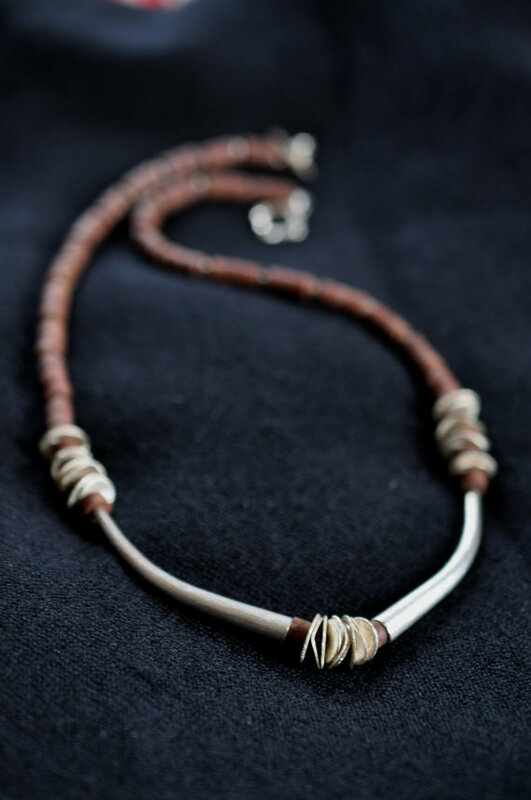 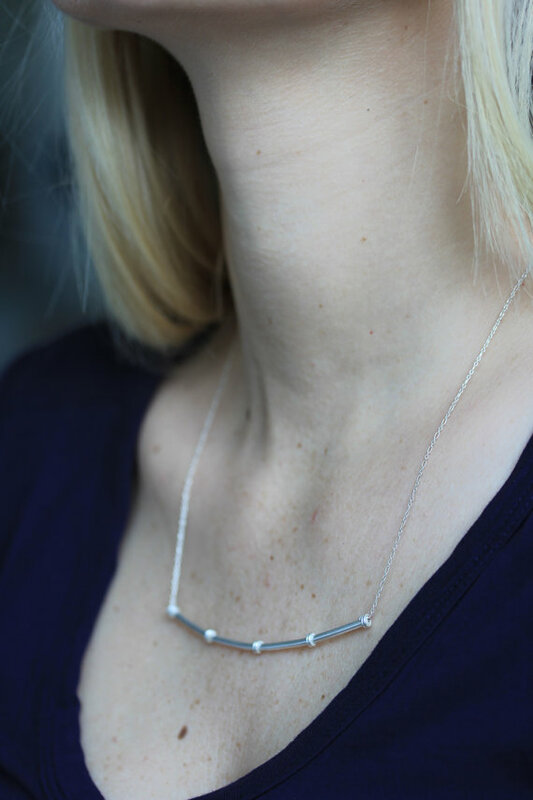 This necklace is made of fine sterling silver chain and slightly curved bamboo-stem shape central piece, which was handmade in 95% silver. 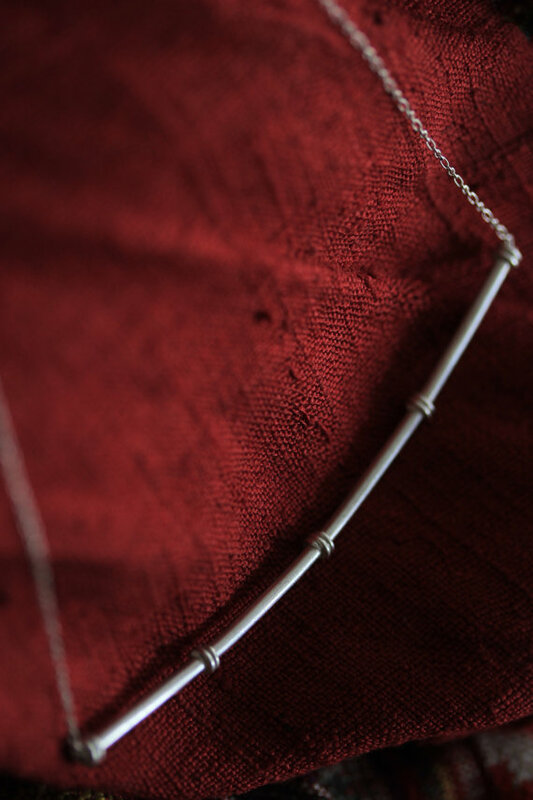 The chain passes through the pendant piece which can move freely on the chain. 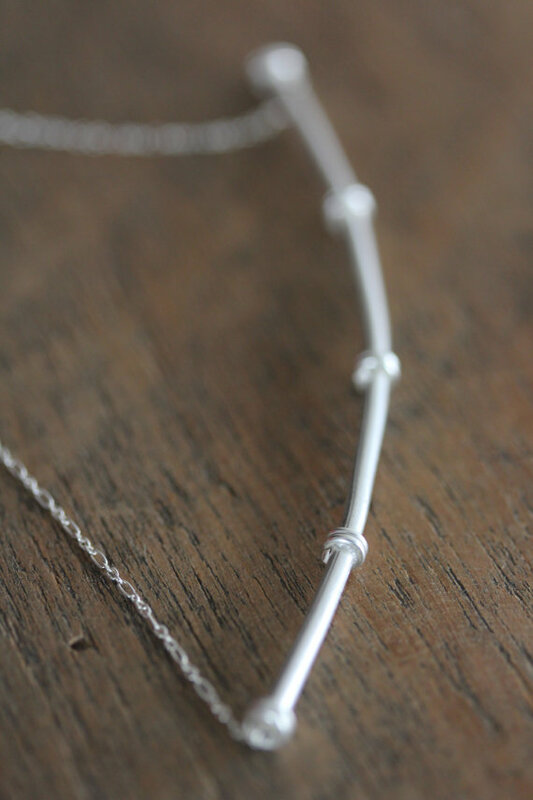 We have used hollow silver tube and applied tiny silver wire wrapped on the surface to give an effect of a bamboo stem. 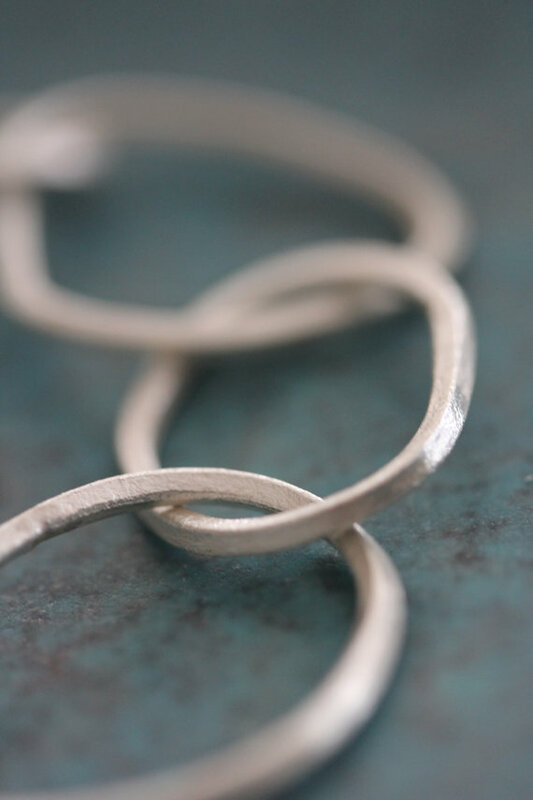 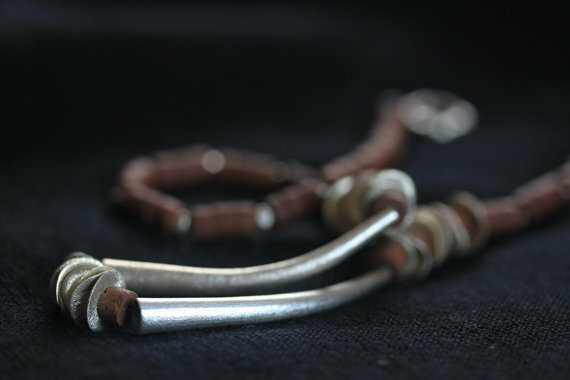 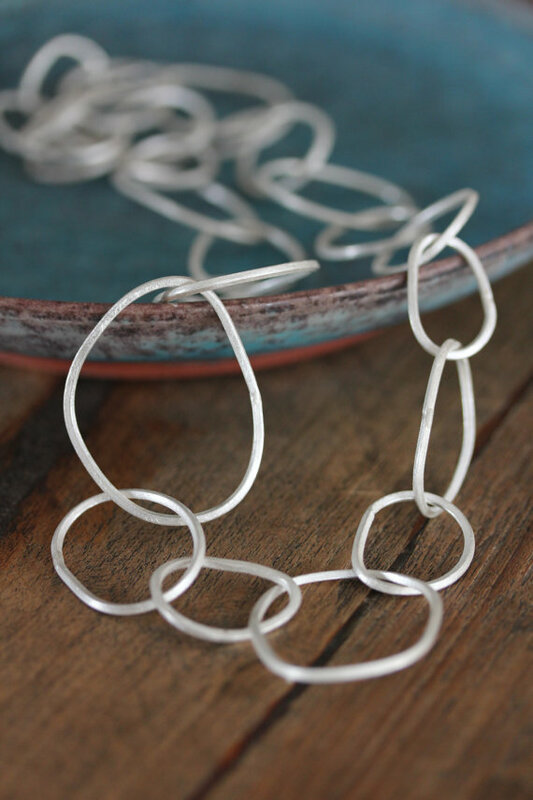 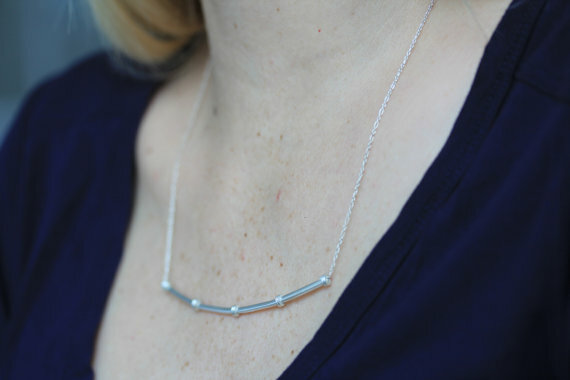 It closes with a simple silver hook and a 3 cm sterling silver chain allows for adjusting slightly the length. 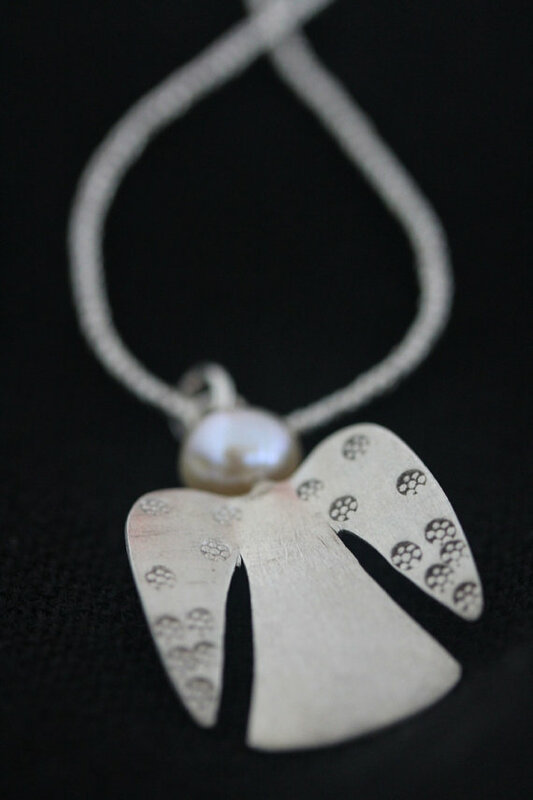 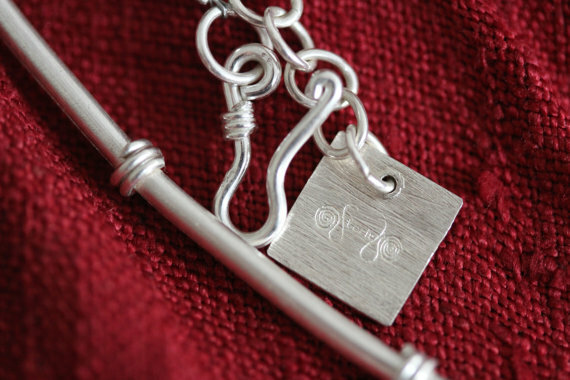 Our logo “Stories” is stamped on the handmade silver pendant attached to the chain. 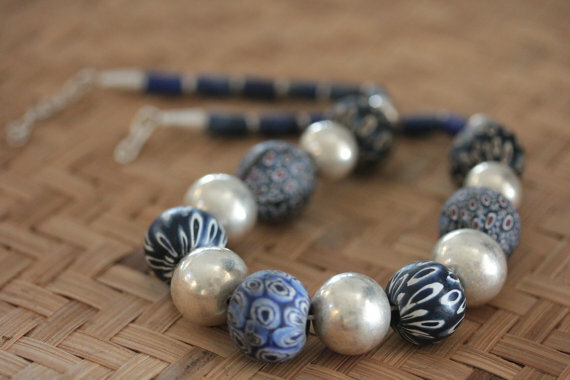 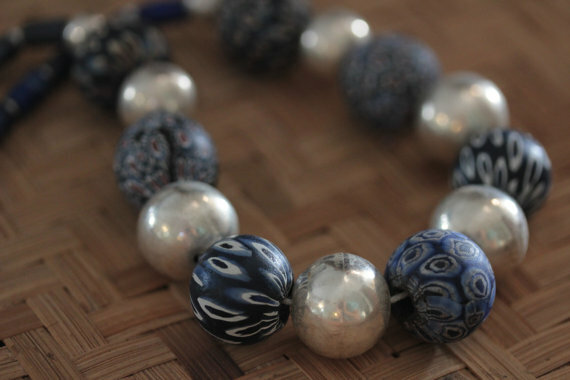 The necklace can be matched to a similar bracelet and earrings.